Introducing Jonathan Hayward, founder and event organizer of the Alberta Rockies 700. THE AR700 is an epic bikepacking event (on gravel!) winding along base of the Rocky Mountains from Coleman to Hinton. Follow along as we learn about his motivation for starting the event, packing tips, and what’s happening on the route this year. MK: When was your first bikepacking trip? 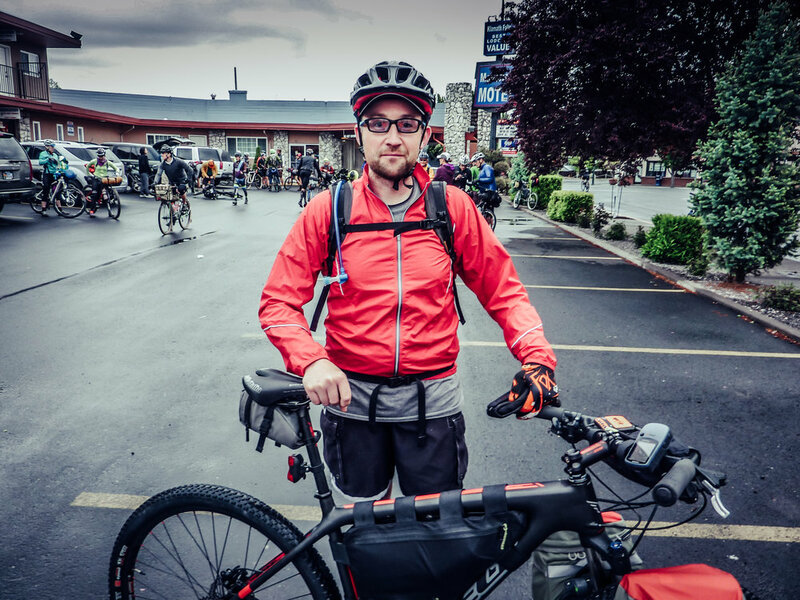 Jonathan: My first bikepacking trip would have been the Oregon Outback in 2015. Not unlike a lot of other bikepackers, I got into it from seeing a Netflix movie called Ride the Divide. As soon as I saw that, I watched it three or four times within a month and it just really hooked me, so I started to get interested in doing something like that. 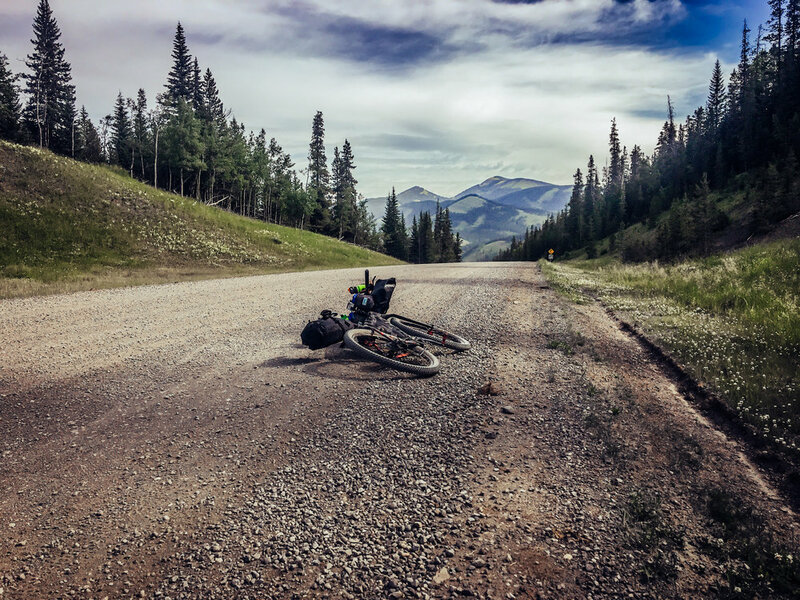 Early on, I realized that the commitment involved with doing something like the Tour Divide – with the amount of planning, time off, and time away from the family – was obviously not in the cards for me on my first trip. It was probably not a good idea to do something at that scale for a first trip, either. So I started researching races at that time, and there really wasn't a lot of information out there. You could maybe find things about the Colorado Trail and the Great Divide, but there really wasn't a lot of routes at that point compared to what there is currently. I was looking for something that was going to be under a week. I just happen to stumble upon the Oregon Outback, which had started one year previous in 2014. I found out about it shortly after it finished, and I started seeing some articles about people who had ridden it in 2014. I looked at that and I thought, okay, well, there's definitely some logistics involved in getting there, but at around 360 miles, I would get to see some parts of the country that I've never seen before, So I started doing some research and planning around that. I had a bike, obviously, but I didn't have any kind of specific bikepacking gear at that point. I bought myself a frame bag and cobbled together some other gear that I had to make do with, not investing too much in new gear to set myself up. The logistics involved in getting there and getting home – especially with it being a one-way route that basically goes from the border between California and Oregon to the border with Washington – definitely contributed some challenges to actually participating in the event. But everything worked out. It was definitely an eye-opener for me, and I was glad I didn't commit to something like the Tour Divide right out of the gate. But it was awesome, and I left thinking I wanted to do more: which led me into building the Alberta Rockies 700. MK: Can you give a little background on the AR700? What was your inspiration for starting it? Jonathan: Shortly after riding in the Oregon Outback, I started drafting up my own local route around Hinton, Alberta, which is the end or the beginning of the AR700, depending on which way you're going. I started drafting something up early on, more for myself, as a route that I would like to go on and ride. At some point, somebody said, well why don't you make it into an event? So, the idea kind of rolled around my head, and I thought, well hey, why not? I definitely did see Facebook pages and forums about other people looking for Canadian routes, and at that point, there were not many formal events that were being run in Canada. I thought, well let's just put it out there and see what happens. In the first year, there was a lot of interest in it. One of the things that ended up happening was that I sent an email to Adventure Cycling and they put a little blurb in their Bike-Bits newsletter. All of a sudden, I got bombarded with e-mails and it became a bit of a monster, because I was getting questions from people all over the world, and I was answering twenty to thirty emails every day. I thought, oh my, what have I done here! But it levelled off after that, and since the first year I've only made a few tweaks here and there to the route. As far as the day-to-day management of it goes, it definitely has stabilized a little bit more. It’s now three years since it began. MK: Can you give a brief description about the route that the AR700 takes? Jonathan: It basically follows the front range of the Rocky Mountains in Alberta. The first year it started in Hinton and ended in Coleman, and it alternates every year for the starting point between those two towns. Logistically, starting in Coleman definitely seemed slightly easier, as it gave people some options for resupply a little bit sooner. Basically, the route, as it stands for 2018, starts in Coleman, and you pretty much follow a combination of secondary Highway #40 or #734 most of the way, with a couple of little detours that are needed to link the pieces together. The majority of it is gravel, and there are a lot of climbs and descents. It’s so close to the front mountain range. There are about six or seven river crossings, and you gain and drop a lot of elevation because of those crossings, especially around the North Saskatchewan River, just south of Nordegg. There’s a pretty major drop down into the river there. The amount of traffic you're dealing with is pretty minimal, but there are a couple sections where you will encounter a little bit more – especially through the Kananaskis and Spray Lakes areas. There’s one little section where you're on pavement between Canmore and The North Ghost area where you're riding on Highway 1A, but for the most part, there's not a whole lot of traffic on the route. MK: What’s the food situation like on the on the route in terms of restock points or even roadside eating? Jonathan: One of the things that changed as the event evolved was definitely related to the food options or lack thereof. The first year, we ran north to south and it was also late June, which left us a little bit light on food and resupply options, because it was so early in the season. So, with the route now starting in Coleman, your first resupply option would be the Highwood House, just as you come off the gravel and before the Highwood pass. There’s a store that's open during the time of the event. Beyond there, once you go a little bit off route in Kananaskis, there is a general store down in that area. Then there’s Canmore after that. Canmore is kind of an essential restock point, because from Canmore to Nordegg you've got a couple of options, but they're pretty limited. You have three hundred or more kilometres to go without supplies, so you've got to be prepared for that section. The last real on-route resupply is the Ghost station store, just east of Ghost Lake. Then there’s a convenience store and gas station just before you turn back on to the gravel on Highway 1A. From there, at the Red Deer River crossing, there is a small hunting lodge that’s about five kilometres off route. At that location, there is lodging, a very basic general store, and cooked food if you arrive at the right time of day. After that, you're on to Nordegg before you can get supplies again. Then, from Nordegg to Hinton, the only option for 175 km, again if you time it right, is to get some supplies in Rob, but by the time you get to Rob, you're less than 50 km from Hinton at the finish. MK: As a rider in the AR700 yourself, what would you pack in terms of food for the route? Jonathan: I’ve gone with a couple of different options. The first time I rode, I packed really light, thinking that I was just going to eat snacks and push through to get to the major centres like Nordegg and Canmore to get real meals. The lesson I learned from this is that I wanted to have at least some kind of hot meal at the end of every day. I'm not a huge fan of most of the freeze-dried meals, but they're quick and easy after riding for twelve-plus hours. They’re light, and they pack easy. I pack a little Jetboil stove; to me, that’s a perfect option. I definitely like to be able to have that hot meal at the end of the day and have something substantial. In terms of snacks, I like to have a real variety. I definitely find that I'm craving different things throughout the day. I like to have a mix of sweet and salty things, like Mars bars, trail mix, and pepperoni sticks. Things that are easily accessible, that you can eat while you're riding so that you're not having to actually stop and eat. MK: You mentioned a Jetboil stove. Is there anything else that you bring for your messkit, or is it pretty minimal? Jonathan: That stove is what I've always used. It’s the smallest version that packs down nice and light. The fuel canister fits right inside the stove, so it doesn’t take up a whole lot of volume. I know some people don't pack a stove and they're just eating whatever. But like I said: I like to be able to have a hot meal at the end of the day, and also to make a coffee in the morning to get myself going. MK: For people who may be doing a race like this for the first time, is there any packing advice you would give them? Jonathan: Definitely! If you're not trying to win and do it in two days, keep in mind that you're going to be out there for some 300km stretches without supplies. I've heard of other people running out of food in that section and not being very happy with their lives. MK: Do you find most people bivy for the night or do they bring along tents for this sort of race? Jonathan: I'd say it's 50/50. There are definitely those people who are pushing to get a really good time and are going super light and minimalist. I’ve done both ways. I’ve used a one-man tent, and I've used a bivy bag. I'm not a huge fan of the bivy (maybe because I bought a cheap one), and have switched back to a one-man tent. I would say, from the people I've seen, it’s a real mix. I think a lot of it is just what you prefer for your ride, and how comfortable you want to be. MK: What have you learned about yourself in the adventures you take on the bike? Jonathan: I have definitely learned that every experience is going to be a little bit different. Your level of enjoyment will definitely change, too. I find that there are really high highs and really low lows. I think people that are really successful at racing these types of events have the mental capacity to be able to push past the low points, and I know that there are definitely people that are a lot better at it than I am. I know that I've had some times where the weather has been horrible and the riding conditions are really bad and I've been in an amazing mood and I’m just loving it. There have also been times where there are the same conditions and it just brings me down and it’s hard to get past those low points. The challenges for these kinds of events are physical, but I think the mental game is definitely going to be an even bigger part of it. MK: What are you most excited about for the upcoming year in your own life and the AR700? I think my personal focus has changed a little bit. I like the idea of the multi-day events, but in my mind, sometimes they sound better than I actually like them. I really seem to have a lot of fun on the first two or three days, and then once it gets beyond that, there’s kind of a magic point that I get to. I went out with a group for a two-night trip up the Jasper ice fields about a month ago and that was awesome. There's another kind of mini route that I've made, and it's not so much of a race but just more of an exploratory bunch of us going out and riding. We nicknamed it The Bears and Beers 300. My wife and our boys do some bikepacking as well, so we're trying to expand that to possibly doing a family overnight trip, too. Those seem to be the type of trips I like to plan lately. MK: That sounds great. We'll see you at the start at Coleman in July! Check out our recipe for cranberry cacao energy bars perfect for those long rides.